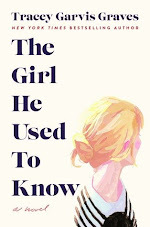 Goodreads says, "Rose Cliffe has never met a young lady like her new mistress. Clever, rich, and beautiful, Ada Averley treats Rose as an equal. And Rose could use a friend. Especially now that she, at barely sixteen, has risen to the position of ladies’ maid. Rose knows she should be grateful to have a place at a house like Somerton. Still, she can’t help but wonder what her life might have been had she been born a lady, like Ada. For the first time in a decade, the Averleys have returned to Somerton, their majestic ancestral estate. But terrible scandal has followed Ada’s beloved father all the way from India. Now Ada finds herself torn between her own happiness and her family’s honor. Only she has the power to restore the Averley name—but it would mean giving up her one true love . . . someone she could never persuade her father to accept. Sumptuous and enticing, the first novel in the At Somerton series introduces two worlds, utterly different yet entangled, where ruthless ambition, forbidden attraction, and unspoken dreams are hidden behind dutiful smiles and glittering jewels. All those secrets are waiting . . . at Somerton." Lady Ada and her family have returned to England after living in India for quite some time. Her father has been a part of a scandal, which makes matters pretty complicated for her family. An older man, her dad's friend, has asked for her hand in marriage, but she really doesn't want to marry him despite the fact that it would help her family. Her heart belongs to someone else, but according to society's standards, that someone isn't an appropriate choice for her either. Ada will need to rely on her friendship with her maid, Rose, who also finds herself in precarious situations throughout the novel. Ada treats her more as a friend than a maid, which irks many people at Somerton, including her stepsister and stepmother. Her stepfamily can often be found scheming and plotting against Ada and Rose, which complicates matters further. Cinders & Sapphires by Leila Rasheed will keep fans of young adult historical fiction engaged, but ultimately, it doesn't dazzle as one would hope. At first I wasn't sure of Lady Ada in Cinders & Sapphires, but she really grew on me. I could appreciate her desire to be something more and to do something more with her life. She dreams of attending Oxford and isn't your usual young woman. She has her opinions and cares about politics, books, etc. She is the antithesis of her stepsister, Charlotte, and these two are often at odds. Ada finds herself attracted to Ravi, a protege of her father's friend, and although he attends Oxford, he wouldn't be a good "match" for someone like Ada. Their love is forbidden and they must communicate secretly with the help of her maid, Rose. This part of the story was rather cliched and predictable, but I do like how Ada is unconventional. Right away readers will know there is more than meets the eye with the ladies' maid, Rose, especially since she is treated better than the other maids. In Cinders & Sapphires, Rose has a connection with Ada as they grew up together, but they know things are different now since they are no longer children. Rose has dreams and aspirations. She loves music and is a talented composer, but due to her station in life, she really can't purse her dream, at least the conventional way. I really enjoyed the character of Rose and how, like Ada, she wanted more out of life. I was immediately drawn to Cinders & Sapphires since it was being compared to Downton Abbey and Upstairs Downstairs. Although there are many similarities between Cinders & Sapphires with my beloved British TV shows, this novel lacks that something special which makes these shows really addicting. For starters, Rasheed focuses on too many characters and switches the point of view rather abruptly. It makes for a choppy read. There are so many characters in Cinders & Sapphires. It was hard to keep them all straight along with their subplots and backstories. 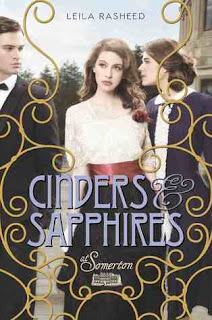 Although I found Cinders & Sapphires to be delightful at times and interesting, I don't think I will be reading book two. Instead, fans of Downton Abbey might enjoy Wentworth Hall by Abby Grahame or Anna Godbersen's Luxe series, which they may find a bit more compelling. I have this one on my list to read soon, but I've read a few reviews that say the same thing that it's not an intriguing book. I'm still interested because I am a fan of historical fiction (though I will try out the other books you recommend as well). Thanks for the review! You'll have to let me know what your thoughts after you read it! I was hoping that I'd like it, but unfortunately it wasn't for me. 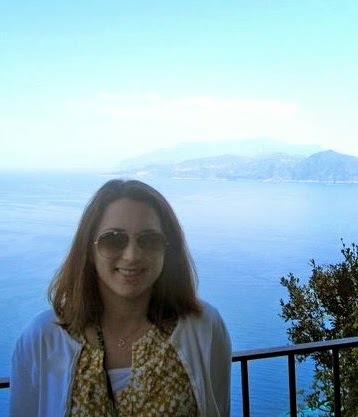 Thanks for stopping by, Andrea! Awww, that's too bad this was a bit of a letdown. I have it from Netgalley and thought I would read it for DAC, but I'm not sure now. It doesn't seem like I would love it. I do have this on my TBR list but it's not high on the list. When I get around to it I'm sure I will enjoy it though. Great review! I think I'd like to try this one all the same. I wasn't a fan of the Godberson series and I DNF'd Wentworth Hall. SO maybe this will appeal more to me? Sorry to hear this one wasn't awesome -- the choppy transitions between points of view would definitely get to me! Sounds like I should give Wentworth Hall a try, though -- definitely love anything "Downton" related or inspired! I'm happy to see the show's popularity is giving rise to lots of DA-inspired books! Sorry to hear this one wasn't a great read. I received a review copy a while back (we have a different cover for this one: http://www.goodreads.com/book/show/16038241-secrets-and-sapphires). I don't think it'll be a priority read for me, although I might get around to it at some point.